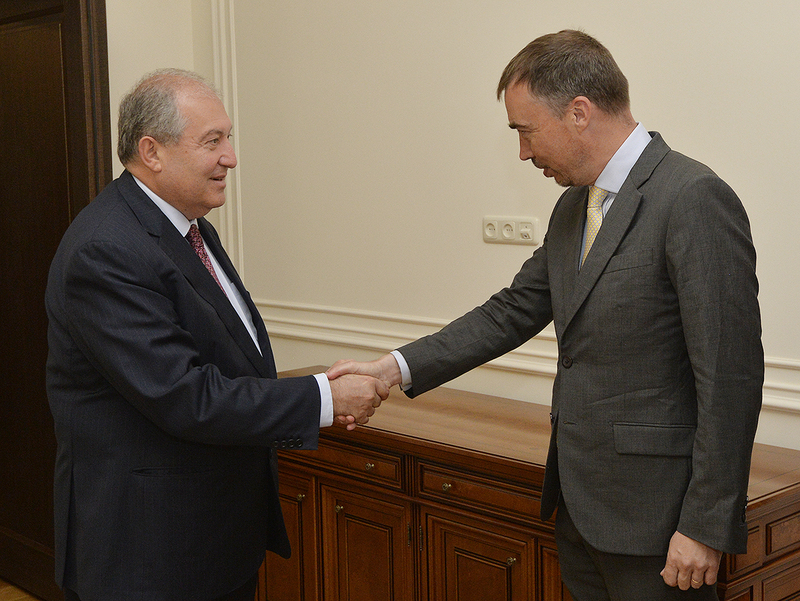 President Armen Sarkissian received today the EU Special Representative for the South Caucasus and Crisis in Georgia Toivo Claar. 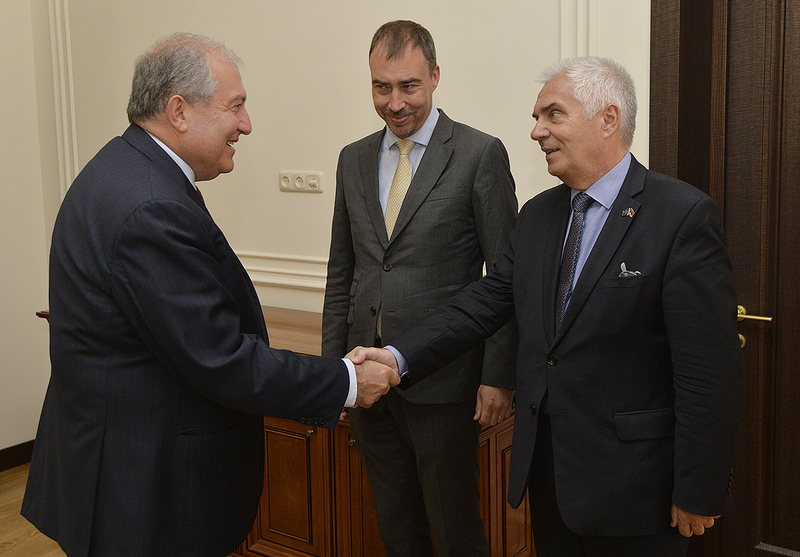 President Sarkissian stressed the importance of a continuous development of the relations with the European Union and a constructive dialogue. 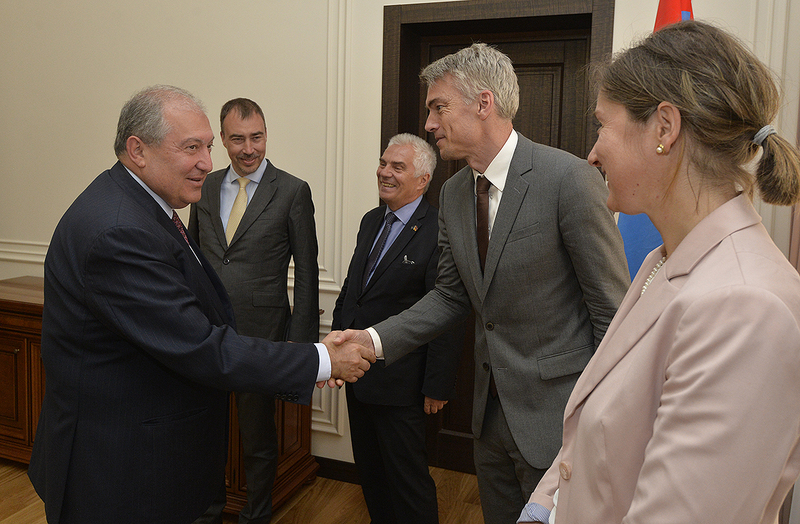 He said that the Comprehensive and Enhanced Partnership Agreement offers new opportunities. 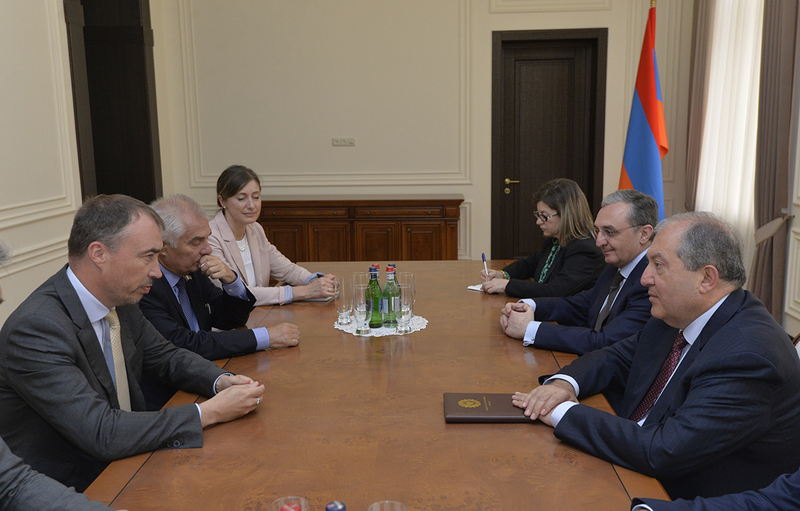 The parties exchanged views on the NK peace process. 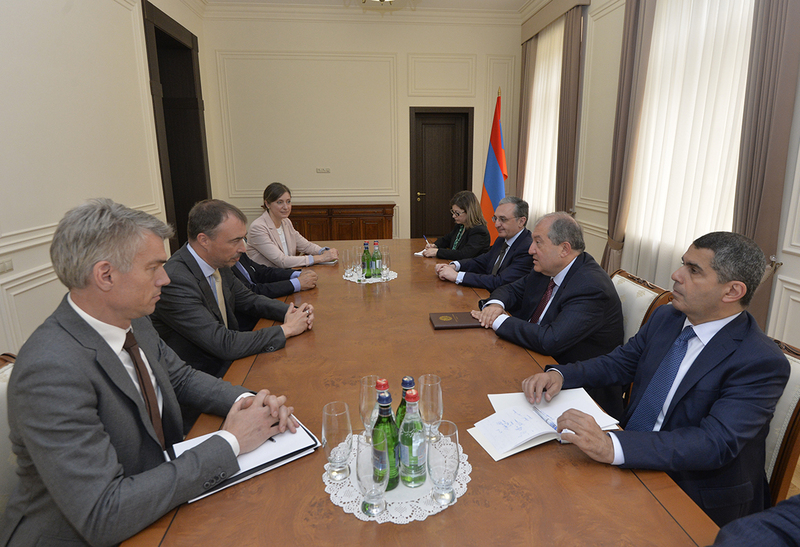 President Sarkissian said that Armenia is committed to the peace process conducted through the mediation of the Co-Chairs of the OSCE Minsk Group and is ready to continue them to reach a peaceful resolution of the conflict. 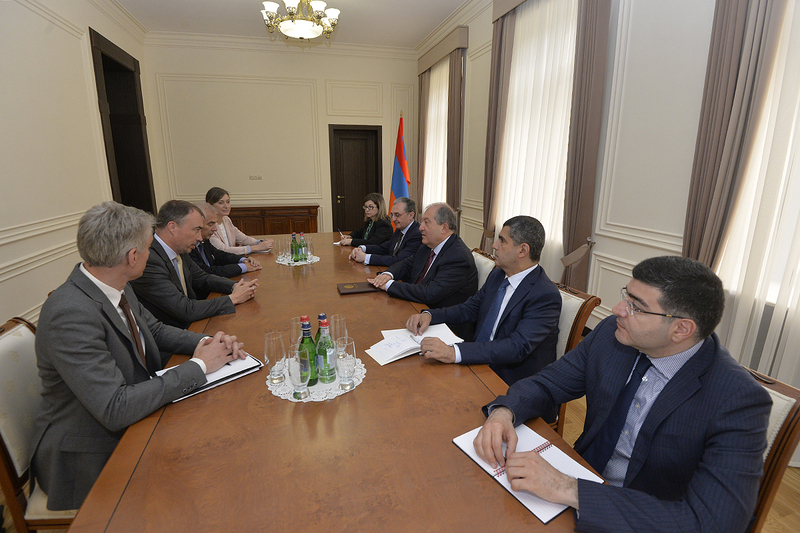 Armen Sarkissian and Toivo Claar spoke also about the necessity of creating an atmosphere conducive for peace and stressed the importance of engaging civil society in the measures aimed at the establishment of mutual trust.